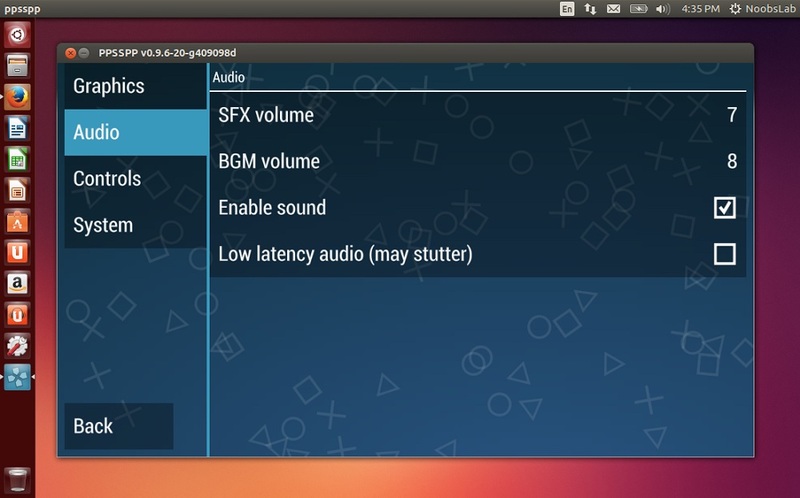 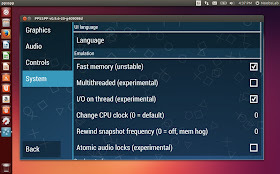 PPSSPP is a PSP emulator written in C++, and translates PSP CPU instructions directly into optimized x86, x64 and ARM machine code, using JIT recompilers (dynarecs). 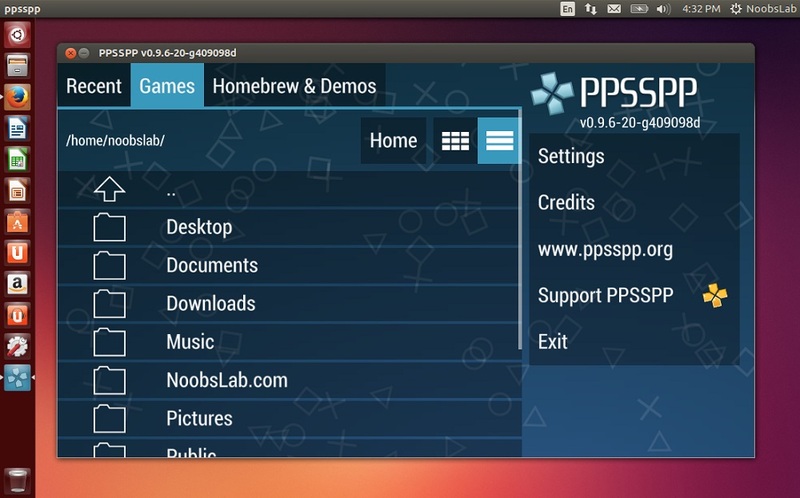 PPSSPP is an open source project, licensed under the GPL. 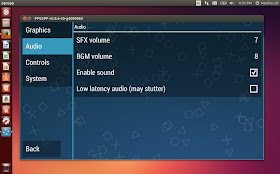 PPSSPP can run your PSP games on your PC in full HD resolution, it is cross-platform application. 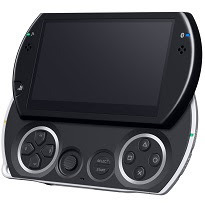 It can even upscale textures that would otherwise be too blurry as they were made for the small screen of the original PSP. 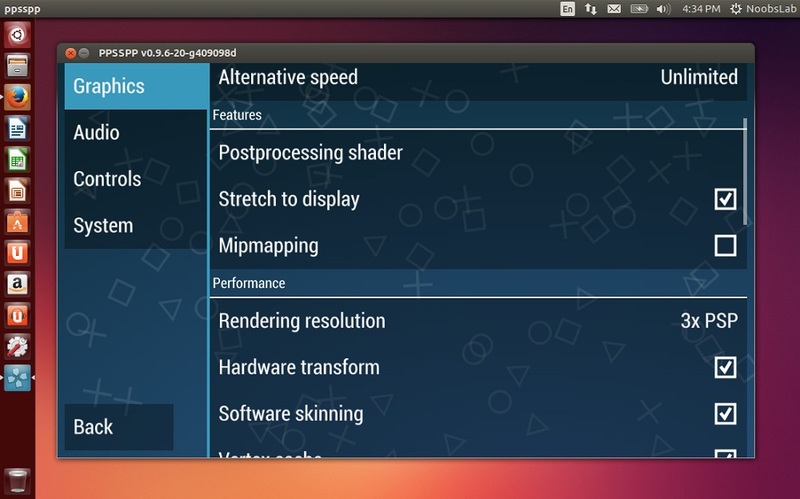 It can run on low specification hardware, including ARM processors as long as there's support for OpenGL ES 2.0. 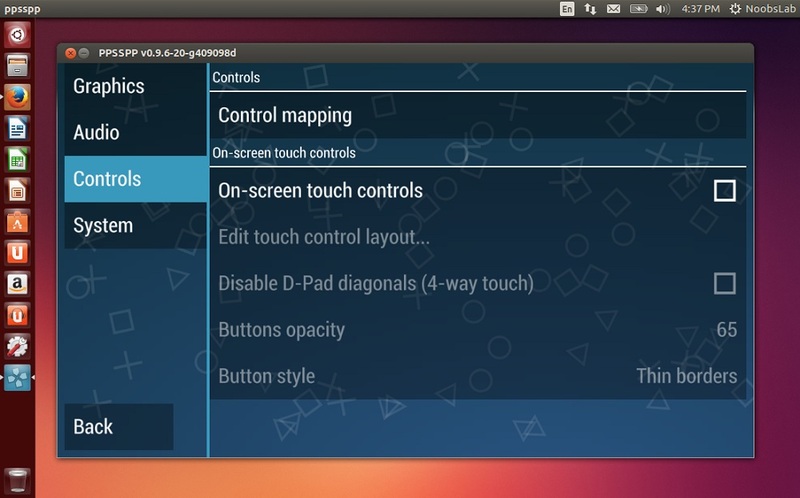 It can run PSP ISO file from your PC, and also from PSP disk but you need to specify location of Game within PPSSPP. 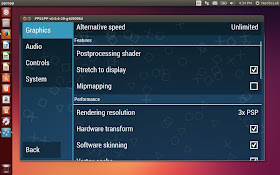 It can save and restore game state anywhere, anytime; Continue where you left off by transferring saves from your real PSP; Crank up the anisotropic filtering and texture scaling. 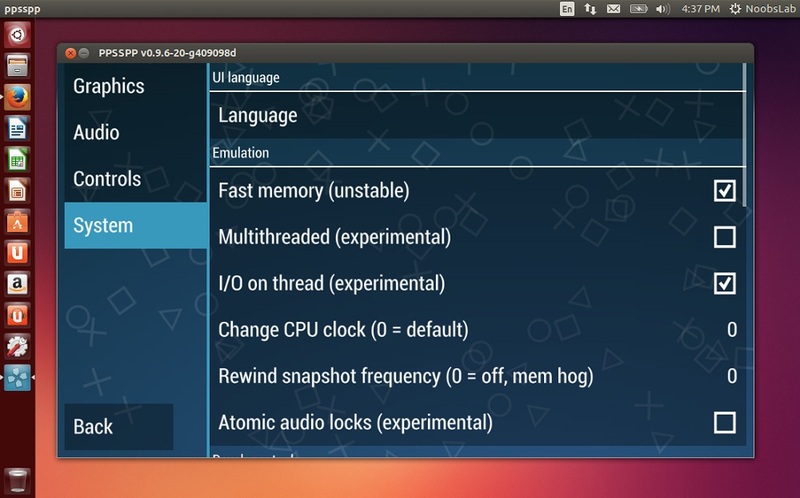 Note: Following PPAs contains latest builds for both 32bit and 64bit (Screenshots are from old version).